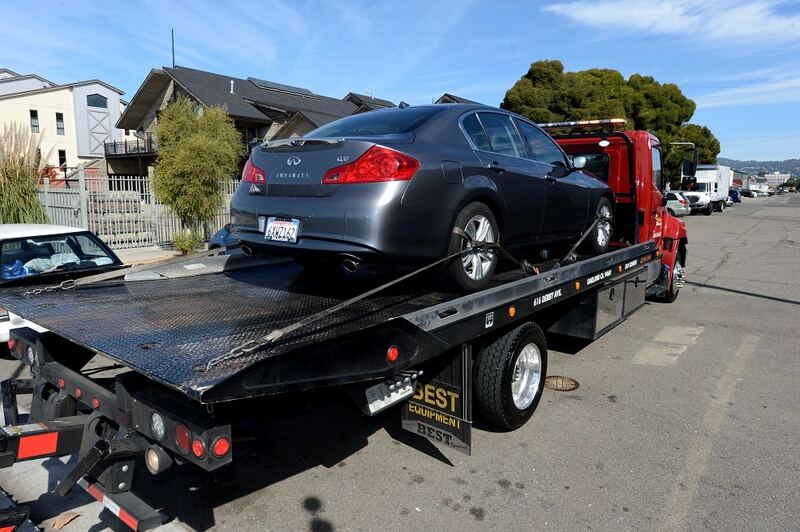 When it comes to transporting a vehicle – be it damaged or fresh from the dealer’s showroom – here at Golden Towing in Houston we obviously see towing as the best option. But which type of towing? Do you opt for Flatbed Towing or would a Dolly tow be just as good? Both flatbed and dolly towing have their advantages. They also have their disadvantages, so deciding which is best for you becomes a question of weighing up your options. Flatbed towing is generally speaking safer and better for your vehicle. Because the vehicle is raised off the ground and sits motionless on a flatbed, it’s less likely to suffer general wear and tear or greater levels of damage. Dolly towing raises only two of your vehicles four wheels (either the front or rear set) so the remaining set is still in use and at risk of damage from potholes, other vehicles, and the likes. Unlike flatbed towing, dolly towing is not suited to large loads, so if you’re planning on transporting a heavy SUV or truck to, from or around Houston, you’ll need to opt for a flatbed tow truck instead, which is far more suited to heavy loads. Finally, one advantage dolly towing does hold over flatbed towing is price. A dolly tow is generally less expensive, which makes it better suited to those with a limited budget or those looking to save cash. However, it’s worth considering that if for any reason your vehicle is damaged in transit while being dolly towed, that’s an expense you’ll have to cough up at a later date.